We all crib about civic services, about crazy traffic, unscheduled power cuts, and a dozen other things which characterise life in namma Bengaluru . How about some humour and diversion for a change, trying to look at the same issues from another angle, to keep our blood pressure under control? Here is another – while I was trying to cross the road at the busy intersection facing Jayanagar shopping complex at 9.05 AM on a Saturday morning, a police cheetah vehicle (No. 6082) jumped the red light and whizzed past, towards 10th Main. I have this habit of noting vehicle numbers and time, and sending complaints to the police station. * Were they chasing a robber perhaps? Not really, the overhead light or siren were not on, like one sees on TV movies. * Was the driver perhaps colour blind and hadn’t had his eyes checked? I presume a police recruit is given a physical check-up before he gets his employment letter. 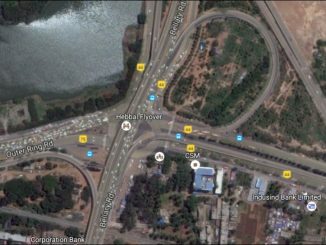 Another time, it was the police again – my diary entries say on March 4, at 8.40 AM, at the traffic intersection facing Jayanagar shopping complex again (I have this habit of hovering around this intersection counting traffic violations as a time-pass hobby, you see). A white police car, no. KA02 G 900, with a red light on the roof, stopped bang across the pedestrian crossing, so that pedestrians had to skirt around to get across. * Should I have repeated that lecture to the police driver too? Or kept quiet, because one is supposed to “respect the law” and law-enforcers? * Should I have penned a complaint and sent it to the commissioner, spending money on postage? * Should I look up the statute books and check whether police vehicles are exempted from traffic rules? * Should I have begun a signature campaign in the area to petition the local ACP for “protection against police vehicles”? Share your options, and a surprise gift awaits the winner drawn by lottery. * Why was he riding on the wrong side of the divider? Was he perhaps groggy after a long double shift on duty? * Is there perhaps a secret rule that says police vehicles are authorised to disregard road dividers? * Is this a lesson for the public, to say one has to be wary of not just road humps and stray cattle and dogs, but also policemen riding towards you? * Was the poor man hurrying towards the public toilet that stands across the road divider? A case of a bad tummy perhaps? Tch, tch… make way, here comes a law enforcer in a hurry to empty his runny bowels. Except that he didn’t stop at the toilet, he went straight past. * Perhaps he is a good husband and shares the housework with his wife, and while putting the cooker on that morning, forgot to switch off the stove, and after remembering it, was hurrying home to turn it off. If he had to observe traffic rules, you see, he would have to go riding all the way towards Nanda and take a U turn before he can come back to the complex signal, and that would have meant wasting three precious minutes. If you cannot beat them, the saying goes, join them. There is a third option, especially in the context of the hassles that life in Bengaluru includes – if you can’t do anything, learn to turn it into a guessing game, that way you at least save on blood pressure medication.